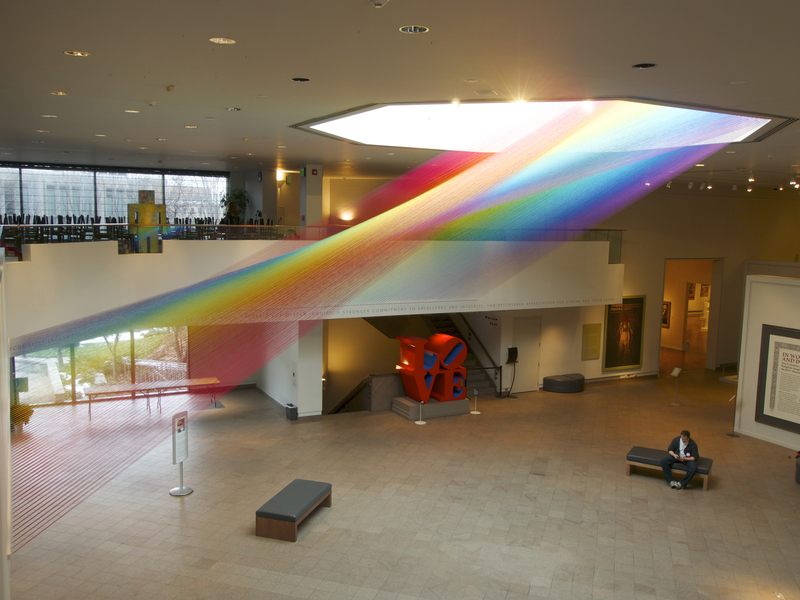 Until July 2016, Plexus A1, an art installation comprising of nearly 60 miles of handwoven threads by Mexican artist Gabriel Dawe, will be exhibited in the Smithsonian American Art Museum’s newly renovated Renwick Gallery. Dawe’s installation consists of 15 hues to mimic the full spectrum of visible light. 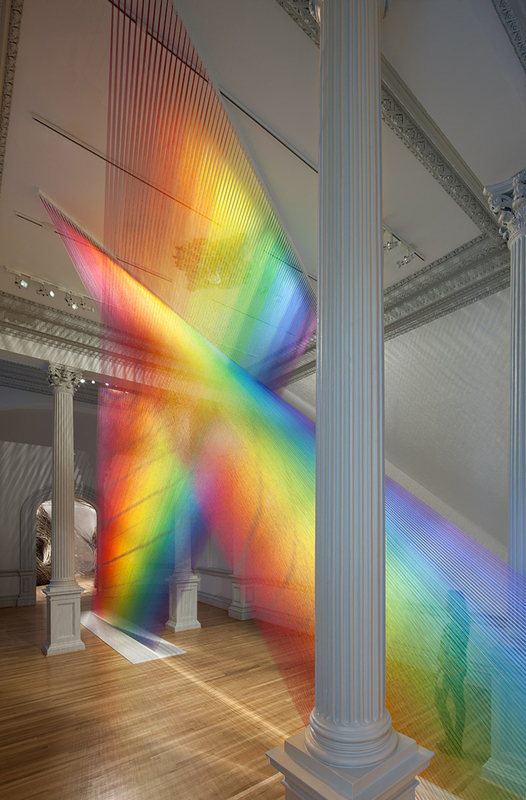 Gabriel Dawe spanned the sewing thread from Renwick’s 19-foot-tall ceilings and worked layer by layer, gradating hues to resemble visible light. 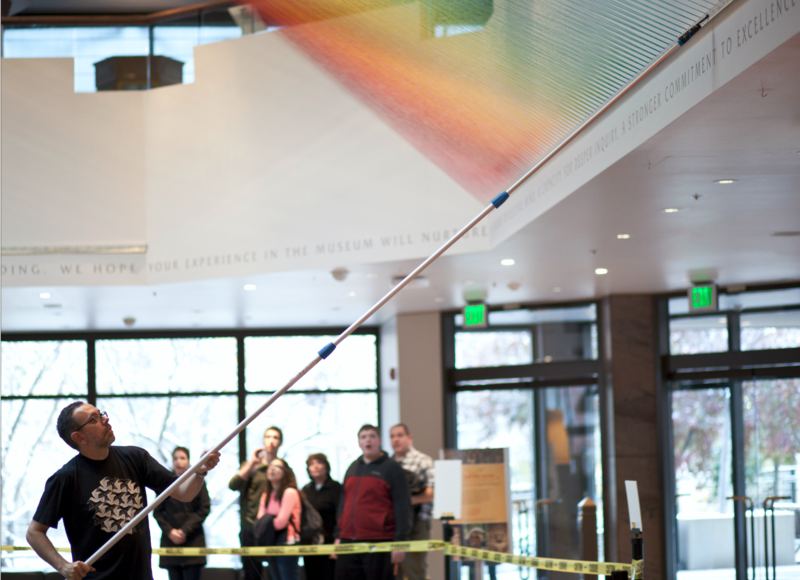 Dawe completed the installation in ten days. 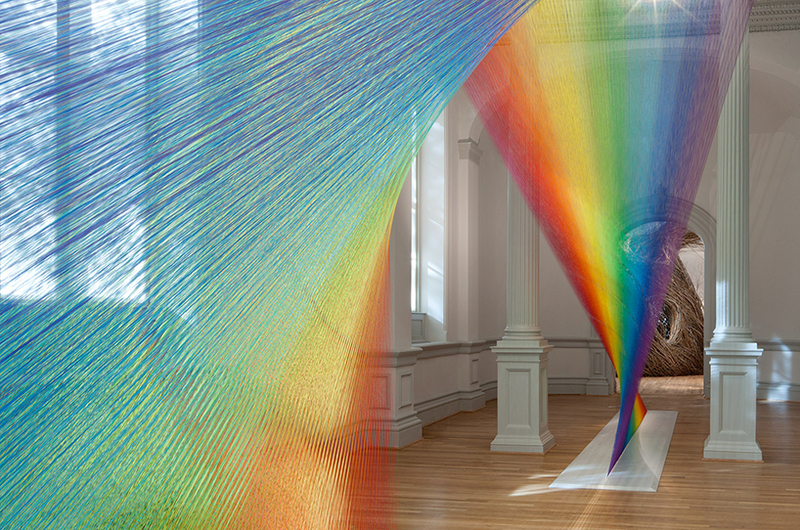 The Renwick Gallery opened last fall, after two years of renovations. Dawe is one of nine artists displaying works in the exhibition, WONDER, as the gallery gradually bring in the permanent collection. For more information on the WONDER exhibition visit the Smithsonian American Art Museum’s webpage here. Art Installations Color Museums Renwick Gallery Smithsonian Smithsonian American Art Museum Washington, D.C.